As I focus on my heart chakra I remember all the Unconditional Love that I have gifted myself so far. Once again I ground this Unconditional Love in my first Chakra. I Unconditionally Love my inner child in my second Chakra. I accept the inner power that my Unconditional Love has released within my third Chakra. And I feel this collective energy field begins to move into my Heart Chakra. I feel an inter-dimensional portal within me that embraces all my beloved embodiments and my not so happy embodiments and all my embodiments in between that I have ever had on the planet Earth. I observe as all of these energy fields gather in my Heart Chakra. Can I love all of these experiences unconditionally? And, can I love them this powerfully? I slowly breathe in the concept of gathering these expressions of Unconditional Love in my Heart in the same manner that I would gather cherished objects in a basket. Therefore I return to my first Chakra to recover one of my first memories of this incarnation. I feel this memory. I know that this is Me. This is the Me that first awakened within this physical Earth vessel. I reach down and embrace this Me. I Love this Me. I send this Me my Unconditional Love and I transport this Me in to my cherished basket of that which I Love that resides within my Heart Chakra. I return once again to my second Chakra and to my childhood and my myriad emotions that arose within my childhood. I see my child, I Love my Child unconditionally, and I extend that offer as I embrace this Me and take this Me into my Heart, into the awareness of who I AM within this Now, within this incarnation. And I stay with this Me until I feel safe, until I know that I AM Who I AM. I return to my third Chakra and I see those very first expressions of my own inner power. And I observe as a loving parent who is proud of their child and I am proud of My child, the child who I AM within myself. I am proud of how I have matured and how I have faced all the adventures of that third Chakra - of all the thoughts that I have and all the thoughts that come to me and how I take the thoughts and blend them with the emotions of my second Chakra and pull them together into this package of a thought form of my thoughts and emotions since I first took this embodiment and I matured into this embodiment. I take this information and place it in that sacred basket of my heart so that I remember all that I have experienced in this life. I Unconditionally Love all that I have experienced in this life. I Accept all that I have been. I understand why I chose those experiences in my life. For through the perception of my heart and with the collection of that innate wisdom of my childhood and the burgeoning power that have grown within me – my power within, and my ability to think about what I feel and feel how my thoughts interact with my consciousness, with my body, with my inner reality and with my outer reality. And to this mix of my emotions and of my thoughts and the thought forms that my emotions and thoughts blend together to create -- I add my Unconditional Love. And with that Unconditional Love, I bring those thought forms in to my Heart where they can take sprout within my consciousness and move out with my every breathe. For my Heart Chakra also rules my lungs, also rules my breath. So, as I breathe in all that I have experienced within this incarnation send it Unconditional Love and breathe it out into the reality that I AM creating for myself and for my beloved planet Gaia. PETALS: This chakra rules the first of the higher vibrations. There are twelve spokes or petals. Twelve in numerology reduces to the number three. Three is the number that represents the relationship between Wisdom, Power and Love. It is this balance that is a primary focus of the Heart Chakra. Wisdom without Love and Power would be cruel and weak. Power without Wisdom and Love would be dangerous and selfish, and Love without Power and Wisdom would be victimized and foolish. In our hearts we must learn how to find and join all three of these virtues. UNCLEAR: When our Heart Chakra is unclear, we have an immune deficiency, lack of joy, heart problems, and bitterness in life. We are insensitive, emotionally closed, passive and sad. We have cardio-vascular or respiratory problems. We may suffer from hypertension, a stroke, a heart attack or asthma. Our lives often feel unfulfilled and we have not found our position in our family and in our community. Our relationships are unloving because we are as unable to receive love, as we are to give it. We are often critical, judgmental, uncompassionate, and joyless. DIMENSIONS: The Heart Chakra rules the Beta wave consciousness of everyday third dimensional life and the Alpha wave consciousness, which is the bridge to the higher dimensions. When our heart is open, we can live the beauty of every moment, smell every rose, create a reality of love and harmony and combine our superconscious guidance with our mundane life. Please share you experiences. You may not realize that what you say in your comments is just as helpful as what you get from the recording. WE are ALL being prepared for Unity Consciousness, and it very important they we share our true SELF with others. How are you enjoying the Unconditional Love process? Dear Sue, I love to read all the comments, it is so wonderful to see how WE are uniting from all over the planet and share the Blessings we are here to embrace and give to others. all my love and gratitude - as always. THANKS for you comment Marie. Yes, the comments are a vital part of this process because people are sharing their experience of loving themselves unconditionally. How often have any of us had that experience in our daily lives. You will find all the information for that on the Blog. We are not sure yet whether it will be one time or part of a series. Suzanne - thank you so much - I'm actually having a wonderful time walking through my life as I meditate on each Chakra. I looked at how much sadness there was with so little laughter, only to find that I created it all for myself in order to find myself. As Shakespeare said : "All the world's a stage, and all the men and women merely players ...". Within my Heart Chakra, I have rewritten my role, along with thoughts, words and actions. Thank you. Let me convey to you the deepest thankfulness of my German readers for your 'transmission service'. I wish I could translate for you all the wonderful sharings of the subtlest as well as big transmuting experiences which were brought about from the beginning of the 7-7-7 process. It is really a huge cleansing and globally unifying process! I found that I had to do the fourth chakra meditation slowly because there was a lot to gather and recall and create and love in it. So I sat down quietly in front of the computer and READ the meditation. I stopped after each sentence so I could "get" that sentence and feel its direction. I was able to feel the meditation process and it was profound. I think it is brilliant. It is still growing inside me and I am happy to have found a way for myself to approach it. Again as always, thank you Sue! If you want to post with a name Please use 'Sophia'. Chakra 1: it was quite neutral. I didn't feel much with that meditation. Chakra 2: it was quite heavy and I experienced very strong emotions throughout the whole week. I also had fatigue and diarrhoea. Chakra: 3 again it was quite strong for me. Again had diarrhoea and experienced extreme fatigue and body aches and pains. The emotions were not as strong as they were with Chakra 2 meditation. Chakra 4: Wow! I'm experiencing so much peace with this one! It's amazing! For the first time in this life I have genuinely felt compassion for my child and for everything she had been through. Bear in mind I have been on the 'spiritual path' for a long time. I have worked on myself for many years. I have done different types of psychotherapy. I have practiced different types of meditations. But these meditations are something very special! Now I see that chakra 2 and 3 meditations were preparing me for chakra 4 meditation. In fact my heart area felt physically sore and it felt very raw for the full 2 weeks, when I practiced meditation for Chakra 2 and Chakra 3. Selmat Gajun ! Selamat Ja ! Very astonishing changes are occurring to me keeping on spreading Unconditional Love through my energy field: I'm feeling in every Now to be connected to all beings of all dimensions; to be completely free from any 3D conditioning, emotional and mental blocks, past traumas; radiating love to every people I meet with and to all creatures of our beloved Gaia and Cosmos. Then integration of all my Selves is greatly on progess. 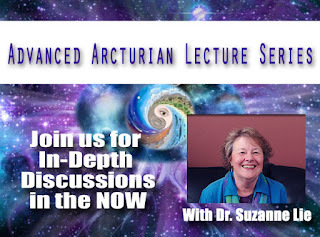 High Gratitude to you, Sue, and the beloved Arcturians. stopped and I'm so in control and relaxed about it. I think because I am more in tune with myself, perhaps that is why I am more in control with the cravings- very powerful. Week 4- so far I haven't had many major insights, but I've taken off my special crystal necklace for a few days which I wear all the time (just to wear a different necklace-I didn't think much of it at the time. I put the crystal back on this morning and I felt the immediate difference, the connection with the crystal and how it has been assisting me with connecting to my higher chakras and my higher self. I have felt this connection before, but this time I felt the connection with the crystal more deeply in myself, not just a fleeting moment of accepting this, it goes much deeper now, like the voice inside of me has taken on a more complex energy and resonance, hard to explain, but perhaps a sign I'm connecting more to my higher self. Quite amazing.. how all of this is unfolding.. with a short meditation. I really feel this is part of an early seeding program to help heal the earth and we are resurfacing from a deep sleep! I've always known deep inside that my time here is to help the planet, and its been my life goal, and working with plants and doing the PhD is helping Gaia. So to connect with you and hear your wisdom is finally like I've come to a cross road and there are my friends, waving saying hi, who have been waiting for me to make it to this point on the road. So thank you Su - I see that all of us connecting all over the planet via the meditation is doing so much good for Gaia and we are sending out so much white light - it's hard to describe but we are powerful beings that have really been suppressed. I can feel the white light radiating out of me and I see it as an image in my mind - very powerful times at the moment. So thankyou Su. You are welcome to use any of this for your blog. I now feel an energy frequency that is 3 dimensional when you channel the Arcturians, I feel my chakras being activated or worked on? On a regular basis I receive energy waves when you channel - but now I'm tuning more in to other things going on (as the energy waves continue) - its hard to explain but I am feeling certain chakras being worked on or perhaps its part of an activation, healing fine tuning, becoming more connected to higher frequencies, very powerful and complex with a lot of information available if you can access the information. I think including the word 'portal' in the meditations is providing a new path way to being able to access information from energy and certain frequencies which is enabling me to be more in tune with all kinds of energy.. The heart week helped me to remember to breathe love in every breath. Thanks! 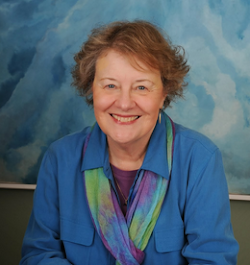 Hi Sue, I feel so blessed to have found your blog and the work you do! Thank you for sharing so much!!! My name is Carla, I am from Bolivia, and I have been working with the Arcturians for the past eight years. However, I started my work with them and a healing system (or technique, I'm not sure how to call it) given by them, with a lot of resistance. It was only two years ago that I finally understood that part of my mission was related to them, so I finally started a serious work with them, not only applying the techique in myself, my patients and in my daily life, but also trasmitting the technique to others (note that I did not channel the technique, but learned it from someone else who trasmitted to me the possibility of teaching to others). The last year with them, was amazing, I think it was the year I grew the most (spiritually speaking), and finding your blog, applying the messages you receive, was simply wonderful. I started the Uncoditional Love meditations four weeks ago, they showed me how much I still needed to heal, but they also showed how much I had done in my past years. They helped me understand that only by staying in an Unconditional Love state can we stay in the 5D frequencies. This was a wonderful realization because everytime we use the technique I teach for meditation, we are totally elevated and surrounded by these frequecies, however, we usually are unable to keep them. Since I saw that your meditations were helping me, I decided to share them with the group of people that learned the technique with me, and now we are using them right before our weekly meditation with the Arcturians, and the results are simply wonderful! Thank you Carla for your great message. valuable post thanks for sharing keep sharing like this and Aekum uses healing crystals for conducting Chakra Healing in Gurgaon.